Fathr Trinchard from New Orleans, has been attached to the ancient Roman Liturgy since his ordination in 1966. This book is a commenatry on the importance of the Holy Sacrifice in the life of every Christian. 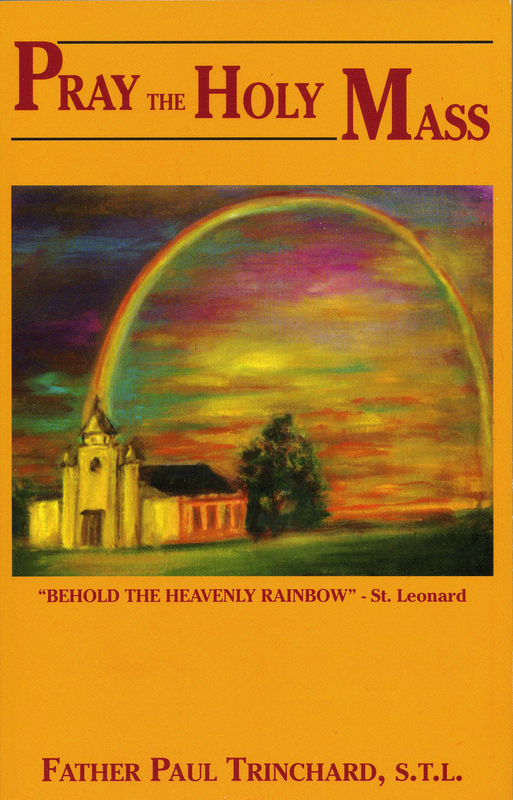 Much of the book is summarized from St. Leonard of Port Maurice' work The Hidden Treasure on the Mass. The importance of praying the Mass the way is SHOULD be prayed is thoroughly elucidated in this 'treasure' originally published in 1995.
you ought to follow all that happens on the Altar. of Nevada and built their own church for the celehration of Christ's Canonized Liturgy. church's steeple illuminating the church with an aura of golden light. THIS ENTIRE EVENT WAS CAPTURED ON VIDEO. The illustratiioon on the front cover was painted from that video. MAY WE NOT READ INTO THESE SPECTACULAR OR EVEN MIRACULOUS HAPPENINGS GREATER SIGNIFICANCE-SIGNS FOR OUR FUTURE?